Rail Album - Mystery Corner - Page 1. A selection of photographs that cannot be fully explained. This page is dedicated to photographs that cannot yet be fully identified. Please contact us if you can resolve any of these mysteries. 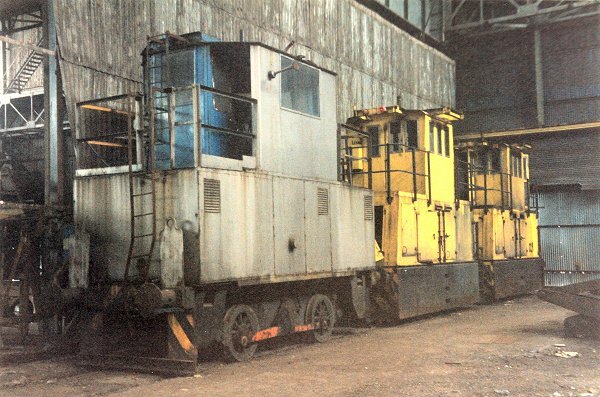 These three electric coke oven locos were out of use at BSC Ravenscraig on 23rd May 1994. Coke oven locos were specially built with high cabs so that the driver could see over the coke oven car. Does anyone know which company manufactured them or what their makers numbers were? The two yellow locomotives were by RFS, formerly Thomas Hill, at Rotherham. 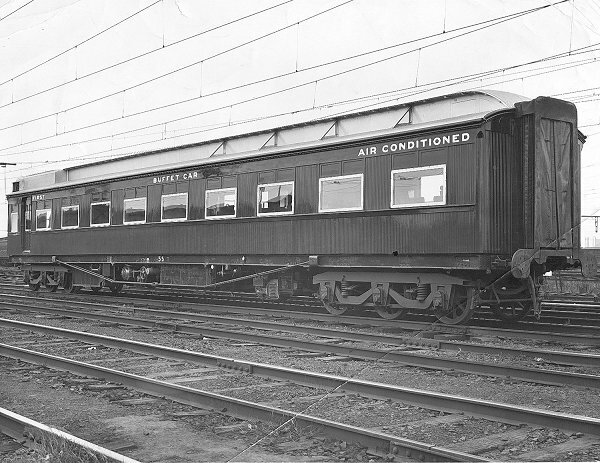 This photograph shows a 12-wheel air conditioned buffet car. The country is not known, but the tracks appear to be standard gauge, the railway is electrified and the buffers and corridor connection appear very similar to British designs. Victorian Railways 5ft 3ins gauge Australia. Likely VR official shot taken at VR Newport Shops. This engineers machine is numbered DB 789401 and is marked as being of type GWM 110. The purpose of the machine and the identity of its makers is not known. 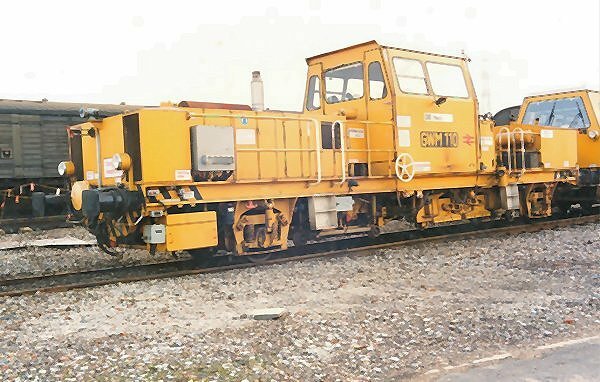 The type GWM 110 were rail grinders by Plasser & Theurer. They were numbered DR 79400 and DR 79401. 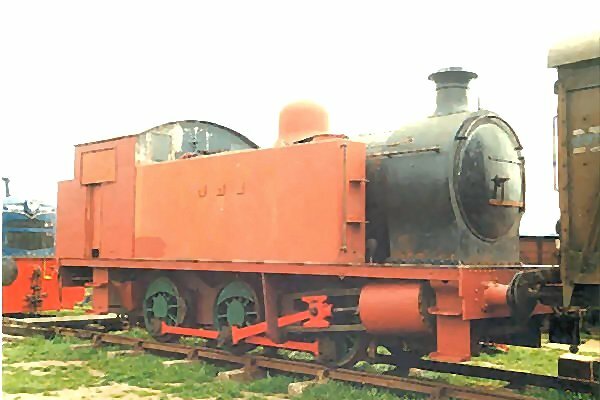 Both were scrapped in September 2004. 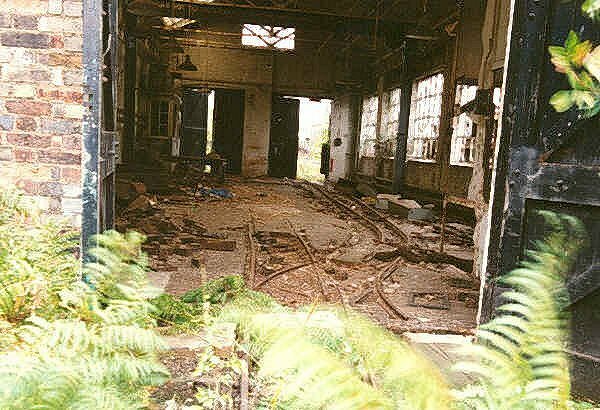 A narrow gauge line in a workshop on British Rail, in the junction between Temple Mills sidings and the line into Leyton Permanent Way yard. Photograph dated 22nd October 1989. 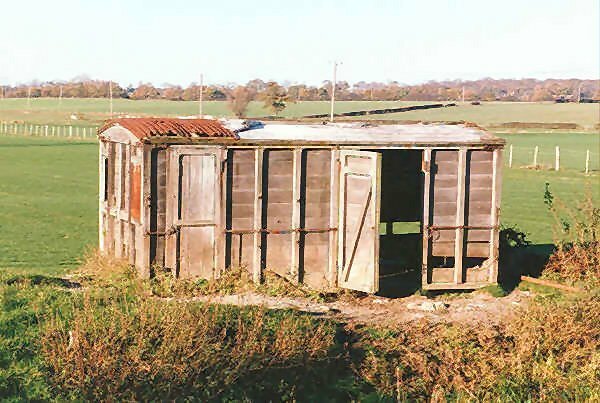 Can you identify the former use of this workshop? A van body in a field near Lydd in Kent 25th November 1989. Can you identify it's origins? This is suspected to be the body of an SECR road van. 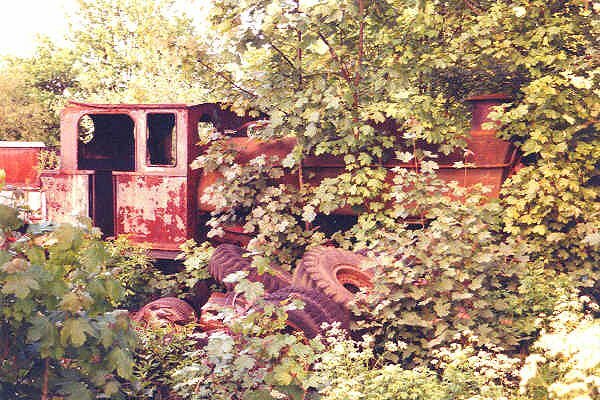 The is what remained of Hawthorn Leslie works number 3138 of 1915 when photographed in the scrapyard of Goodman Brothers at Wolverton in 1985. Do you know where she had worked? Holwell Iron Works No.14 named "Holwell". The locomotive moved to the Rutland Railway Museum at Cottesmore. The remains of a narrow gauge railway in the California Country Park, near Wokingham, Berkshire, 23rd April 1989. Can you help with information about this line and it's locomotives? 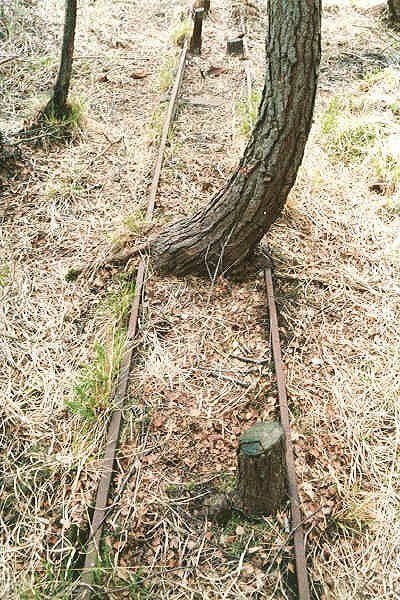 According to comments on the internet there were at least two railways at this location. It seems that the present lake was originally a clay pit and that a railway was used to transport the clay to a brickworks. There was also a pleasure line which closed in the early 1960s. Unidentified industrial 0-4-0ST steam locomotive at Isefield. It looks to be a standard product of Andrew Barclay of Kilmarnock. The smokebox number should help identify this loco's works number and where it operated. AB 0-4-0ST No 945 is Barclay 945/1904 (hence the running number) named Annie. The loco's original owner was S J Claye of Long Eaton, and the loco was No.1 in their fleet until disposal in 1930. The next owner was Yates, Duxbury & Sons paper mill at Heap Bridge in Heywood, Lancs. The loco was named Annie and was sold in October 1974. Unidentified industrial 0-6-0T steam locomotive at the North Downs Steam Railway 14th May 1989. It was rumoured to have been built by Robert Stephenson & Hawthorn and to have been used by the Central Electricity Generating Board (CEGB) at a power station in the Midlands (perhaps at Hams Hall or Meaford). Loco was built by Robert Stephenson & Hawthorn in 1955 as works number 7846. It operated at Hams Hall Power Station as their fleet number 13. Narrow gauge battery-electric locomotives in the compound of a contractor at Royal Victoria Dock, London, 12th August 1989. In the centre of the photograph are two locomotives, one is almost hidden behind the other. These were said to have been manufactured in the USA. 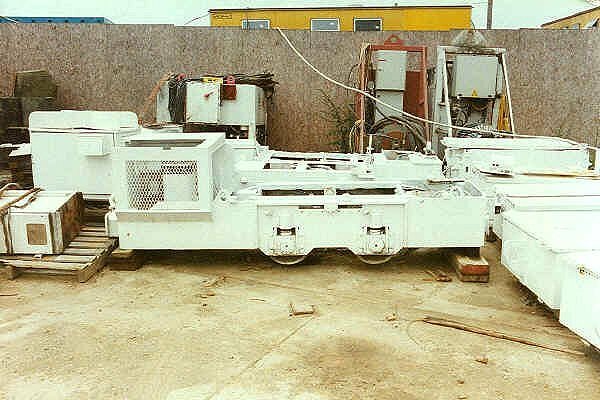 The number of locomotive battery boxes on the right of the picture suggests there were further locos being used on this contract. 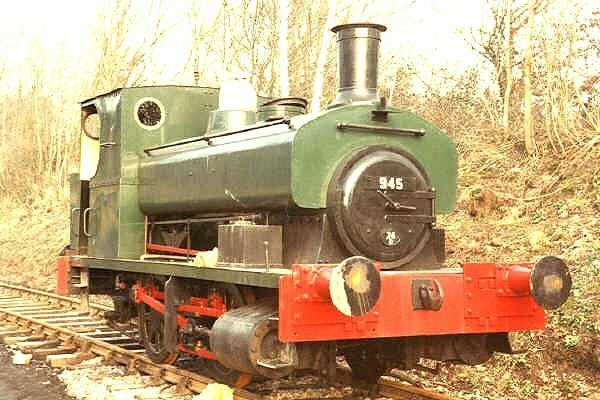 Two of these locomotives are preserved and are located on the Steeple Grange Light Railway at Wirksworth in Derbyshire. They are stated to have been built by Greensburg Machine Company (USA) to their "Scout" design.